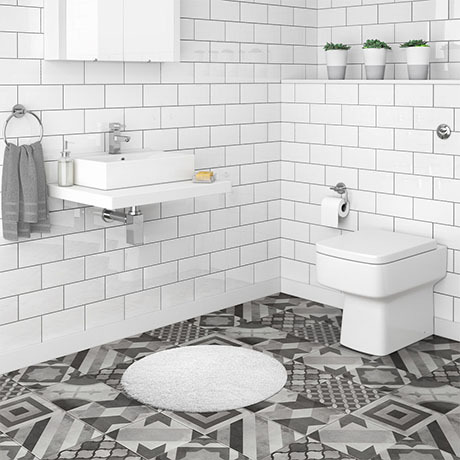 The Kyoto minimalist bathroom suite features a modern square back to wall pan with a top fixing soft close seat and a stylish contemporary rectangular shape, designed to be wall mounted or mounted onto a worktop console. Manufactured from quality white gloss ceramic. Back to wall pan has been designed to be used with a concealed cistern either placed behind a wall or in a vanity unit.